I can plan how to effectively combine in-person and online teaching (2.1). I can create activities that integrate the in-person and online spaces (2.2). I can evaluate the design of blended instruction, assessments, and activities (2.3). I can create guidelines for managing a blended lesson (2.4). What to Look For: Check out all the new benefits of this technology! In this high-tech world we sometimes forget how amazing textbooks can be! Now, let’s compare a textbook to modern online technologies. While books are excellent resources and shouldn’t be completely replaced, there are a multitude of online technologies that students can use to learn. For example, videos allow students to see things they would never be able to otherwise. Virtual worlds and simulations allow students to visit places and do things that would be too expensive or too dangerous to do otherwise. In addition, there are many online programs that continually assess students’ understanding and automatically adapt to better meet students’ needs. Furthermore, online programs allow you and your students to communicate and collaborate in ways never before possible. “Often teachers don’t have time to do what they do best because they are too busy lecturing and assessing students. Like many of you, I remember as a middle school teacher, giving a lecture to students and then having to repeat that lecture five times throughout the day, using the same examples, stories, and jokes. By the end of the day I was exhausted from the repeated performances and may have only had a handful of meaningful conversations with students. I realized that I wasn’t spending my time doing what I felt I did best, which was providing individual help and encouragement to students. By offloading the presentation of content to technology, I could have spent my time more productively working with students one-on-one and in small groups. In this chapter, we share guiding principles that will help you combine the best of both worlds. Our goal is to help you integrate both in-person and online learning in ways that will allow technology to show its greatest strength – the ability to empower teachers to do what they do best. How ready are you to integrate both online and face-to-face teaching in your classroom? You can use the link above to find out. 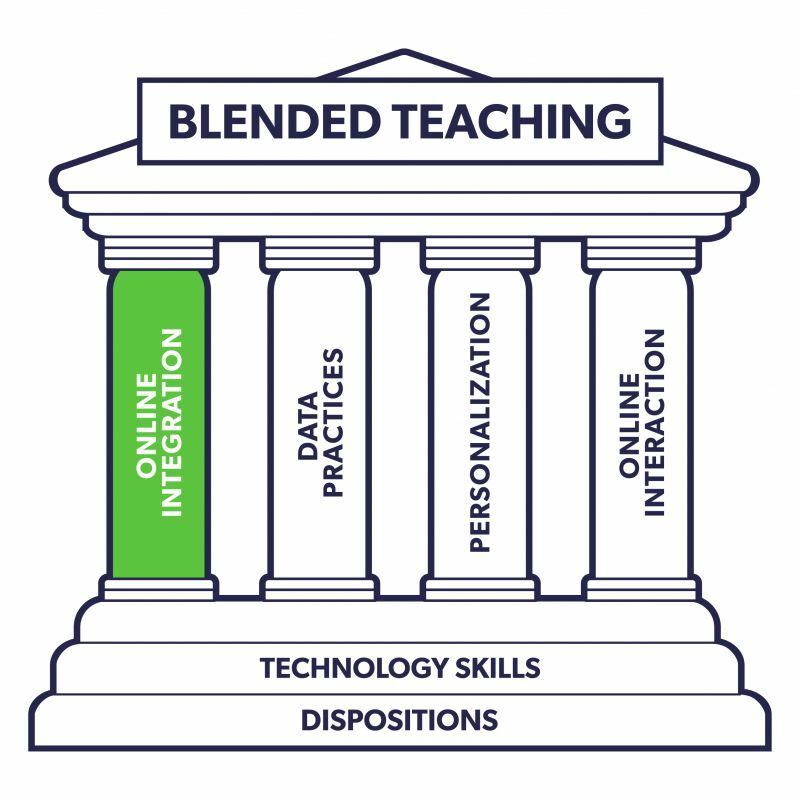 As mentioned in the previous chapter, there are many different blended teaching models. These models are structures and patterns that help teachers to organize online and in-person learning activities for a blended classroom. How a course is structured depends on many factors including the physical learning environment, the school’s access to technology, the age and ability of the students, and the length of class time. While there are innumerable ways to structure a blended course, the Clayton Christensen Institute has identified several common organizational models (see Web Resource 2.1). We focus on four models in this book: flipped, station rotation, lab rotation, and flex. What to Look For: In this Khan Academy resource, you can see video explanations and examples of four different blended learning models: flipped, station rotation, lab rotation, and flex. Traditionally students receive direct instruction at school and then apply what they learned at home on homework. However, students commonly get stuck on homework and don’t have the resources or support to complete their work, creating a frustrating situation for you, your students, and their parents. The flipped classroom [https://edtechbooks.org/-Rru] reverses that order so that before students come to class, they receive the direct instruction via online videos. Then, when they come to class, students can complete the “homework” and receive one-on-one or small group instruction. This enables them to have the necessary support when they get stuck. Figure 2.1 Simplified representation of flipped classroom model. What to Look For: Observe how moving to a flipped classroom has changed the teaching and learning of this classroom! 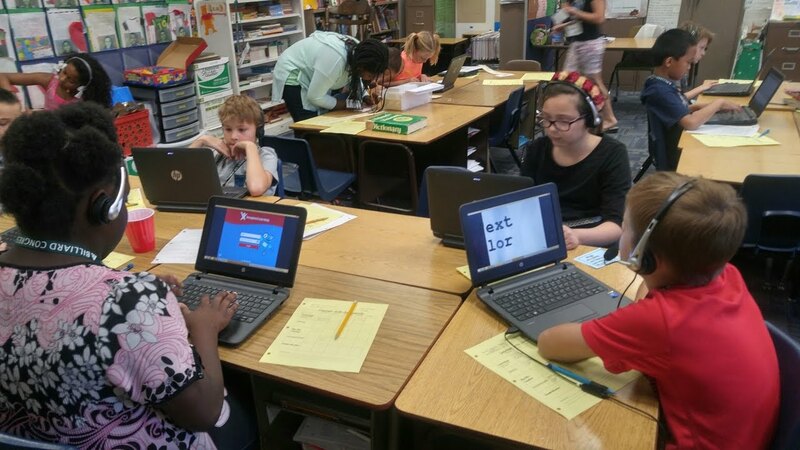 As implied by the name, a class that uses the station rotation model [https://edtechbooks.org/-JCw] has stations set up so that students can rotate on a set schedule or at your discretion. At one of the stations, a small group of students works with you, so you can better customize instruction and assessments to meet your students’ needs. This model is not new and has long been used in elementary schools. However, in a blended version of a station rotation, for at least one of the stations, students are learning using technology that collects assessment data that teachers can use to personalize small-group instruction. Another common use of stations is to allow students to discuss class topics or to collaborate on projects. In schools where every student does not have access to a tablet or laptop, station rotation [https://edtechbooks.org/-WBS] is a popular form of blended learning. However, because you are working with a small group of students, it can be difficult to respond to inquiries from students at other stations. As a result, this model is most effective when students can be self-directed or when there is another facilitator in the room who can assist. Another way to make this model effective is to establish procedures that allow students to assist each other when certain issues arise. Videos 2.3 and 2.4 help show the station rotation model in action. What to Look For: Notice how the teacher’s station organization and structures direct student learning and behavior. What to Look For: Listen to the reasons this teacher and her students enjoy the benefits of the station rotation. 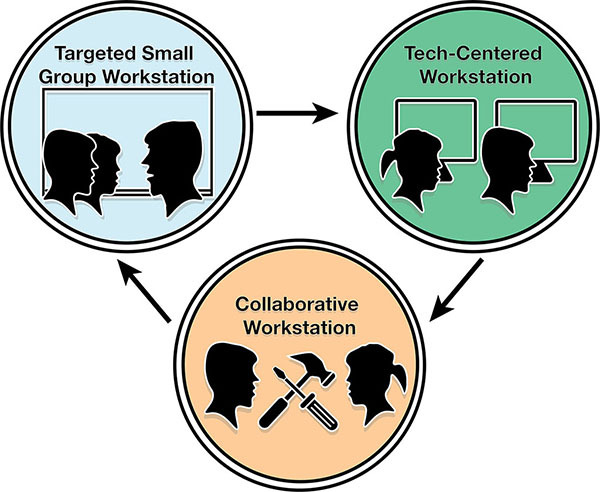 The lab or whole-group rotation model [https://edtechbooks.org/-vXPC] is similar to the station rotation model except that students rotate as a whole group on a set schedule or at your discretion. This commonly involves students leaving the classroom to go to a computer lab or you, as the teacher, bringing a mobile lab into the classroom. This model is great for classrooms that have close to 1-to-1 devices. Your role in this model is also different from the station rotation model. Rather than spending the majority of your time working with students at a small group station, you spend your time working more freely with students throughout the room. Video 2.5 below is a classroom example and further explanation of the lab or whole-group rotation model. What to Look For: Look to see how the lab or whole group rotation may be easier to manage than the station rotation. In the flex model [https://edtechbooks.org/-Ugc] the majority of learning occurs online. Because of this, students have a high level of flexibility to work at their own pace based on their individual needs. You can then use assessment data from the online activities to target where your student needs support through one-on-one or small group sessions. This model takes a high level of planning and preparation. It may occur in conjunction with a content-specific adaptive learning program. Among these are ALEKS(Assessment and LEarning in Knowledge Spaces), which is a learning system that helps teach high school math including algebra, geometry, trigonometry, etc., or SRAFLEX Literacy, which is a comprehensive reading and language arts intervention system for struggling readers. Using these adaptive systems, students can move through class content at their own pace, conferencing with you to work through difficult concepts or to receive additional one-on-one or small group instruction. Some tools such as Imagine Learning [https://edtechbooks.org/-DL] also have live online tutors that students can conference with when stuck. In some cases, students can also access supports in languages other than the dominant language at the student’s brick-and-mortar school. When implementing this model, you should also carefully consider how to provide the student enough pacing flexibility while also fostering meaningful student-student interactions and teacher support. Watch Video 2.6 to get a better sense of the flex model in action. Figure 2.3 Simplified representation of the flex model. What to Look For: How does this teacher decide what to have the students do online and what to have them do in-person? There is no right or wrong model to use in blended teaching. Therefore, you should select ideas from the various models then combine them in a way that will meet your specific teaching needs. For example, if you are wanting to devote more class time to a specific in-class activity, then you may want to utilize the flipped model. But, if you are wanting more small-group or one-on-one time with students, then you may use elements of the station rotation or lab rotation models. Conversely, if you want students to learn at their own pace online, then you will want to pull from the flex model. You do not need to become loyal to or an ardent devotee of a specific model. Your blended classroom should both use and combine various models to best meet your needs and the needs of your students. 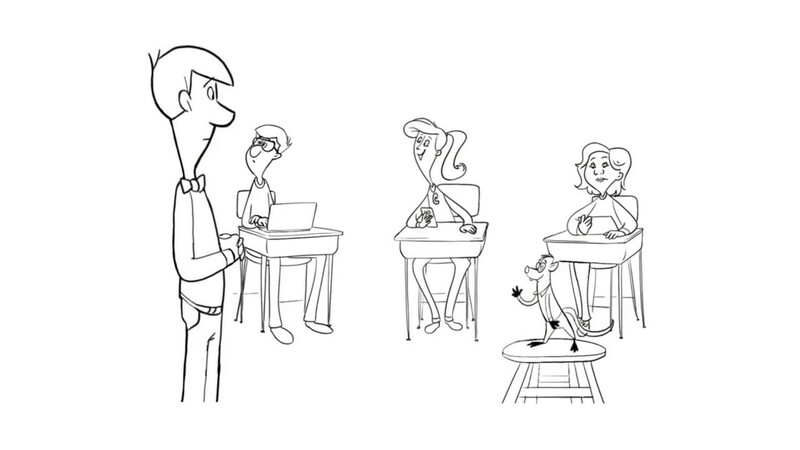 Look for an adaptive learning program for content that you teach. Using the flex model, determine how you would incorporate this program to teach a lesson. Choose an in-class activity that you would like to have more time for. Find or create instructional tools that would allow you to use the flipped model to prepare students for the activity. Think about the digital devices you have access to and create a lesson with these devices that uses either a station rotation or lab rotation model. Now that you’ve reflected on some blended learning models, it’s time to consider strategies for creating the actual learning activities. 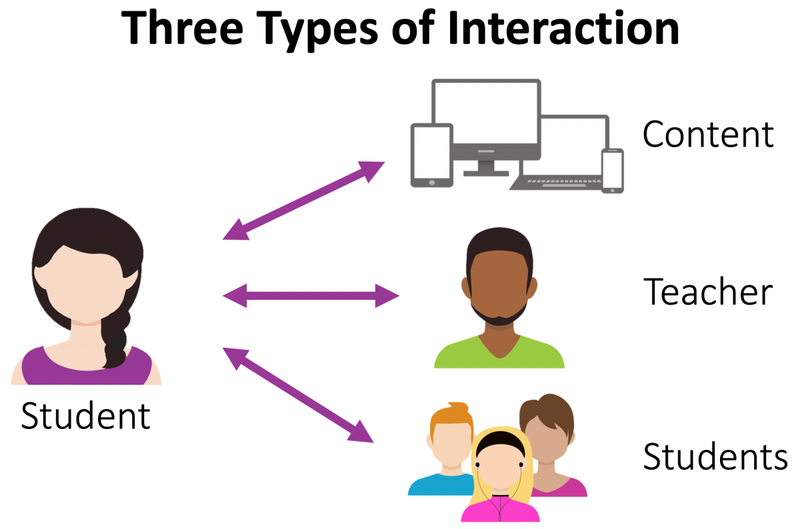 One way to look at these activities is that they are a collection of the following types of interactions: student-content, student-teacher, and student-student interactions (see Figure 2.4). When designing a blended classroom, we blend the online and in-person versions of each type of interaction. 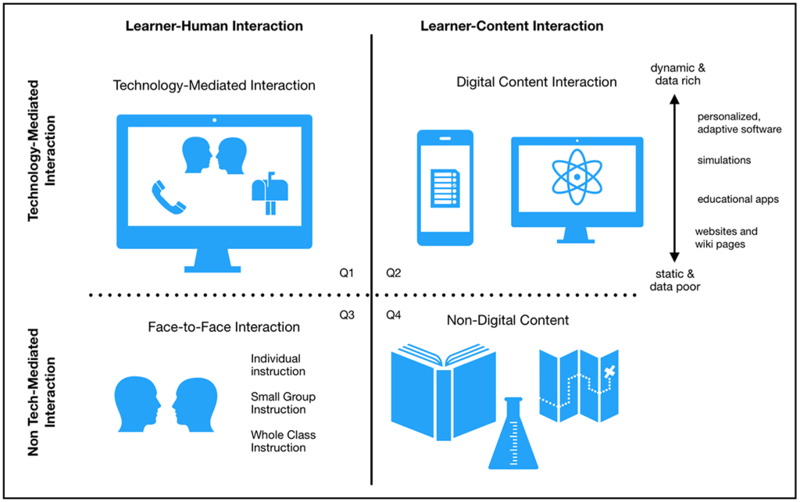 Figure 2.5 shows a quadrant with student-content interaction on the right and student-human interaction (i.e., instructor and peers) on the left. Traditional classrooms typically teach in the bottom half of the quadrant while fully online courses are more in the top half of the quadrant. 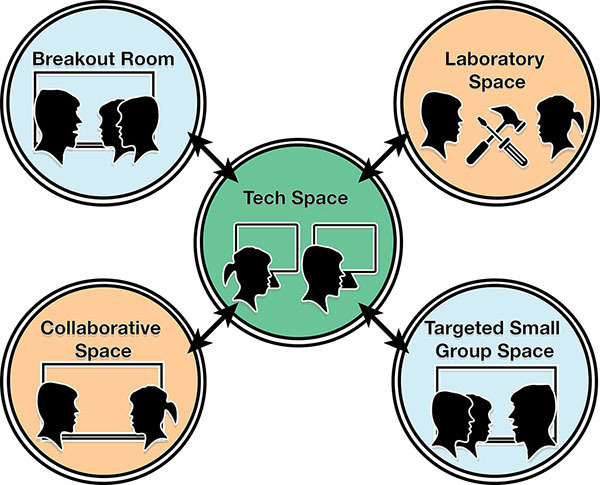 Blended classrooms, however, can include interactions in all four quadrants. Figure 2.4 Three common types of learner interaction. Figure 2.5 Combinations of human in-person and technology online interactions. By working with students in small groups on data driven activities, you are empowered to target your efforts on student needs and misunderstandings. In fact, some of the most powerful learning opportunities that occur in a blended classroom happen offline. As a result, when thinking of the term blended learningyou don’t actually need to only picture students on tablets and laptops. Instead Figure 2.6, where a teacher is working with a small group of students, is much more indicative of blended learning. However, it is important to note that digital devices do play an important role in being able to harness the advantages of online learning—a significant element of a blended classroom. 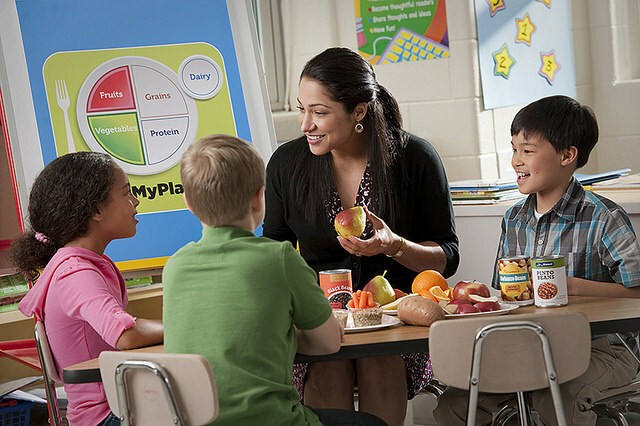 Figure 2.6 Teacher working with a small group of students. The word “blended” in blended teaching is used intentionally. Blended teaching goes beyond technology integration that simply adds online content or online discussions to an in-person course. The activities should be integrated in such a way that the online activities support the in-person activities and vice versa. It can actually be highly frustrating for students when online components are simply added to a fully in-person class (referred to as the “course and a half syndrome [https://edtechbooks.org/-iTb]”) because they feel like they have to complete a course (the in-person activities) and a half (the online activities). One of the most common mistakes novice blended teachers make is to have students engage in both online and in-person activities, without those activities complementing each other. Read the scenario below and see if you can identify the weakness in the blend. Scenario: A teacher is using a lab rotation model. During one rotation students go to the computer lab to use an adaptive math learning software where they advance at their own speed. During another rotation the teacher uses the whiteboard to teach math concepts from the core curriculum and go over example problems. The teacher is unaware of what specifically students are working on during lab time.A teacher is using a lab rotation model. During one rotation students go to the computer lab to use an adaptive math learning software where they advance at their own speed. During another rotation the teacher uses the whiteboard to teach math concepts from the core curriculum and go over example problems. The teacher is unaware of what specifically the students are working on during lab time. Comments: In this scenario, students are participating in a blend of online and in-person activities, but the teacher has not integrated the two. This integration could easily happen if the teacher were aware of student progress in the online lab and then focused the in-person instruction to meet the specific needs of individuals or small groups of students. You begin a discussion in class that is then extended to an online discussion board. You and the students can then wrap up the discussion in-person. Students use adaptive learning software that provides you with data in ways so that you can easily recognize students’ misconceptions. Using that information, you can provide in-person instruction that better targets students misconceptions. Groups of students start to create a presentation using Google Slides in class. They can then complete their section individually online. Think about an assessment, learning software, or online application that students use to learn in your class. Create a plan that uses data from this source to inform in-person teaching. Create an outline for a class discussion that starts in-person or online and then continues in the opposite format. Create a group project that students can either start online (maybe through a brainstorming discussion board) and then finish in-person, or vice versa starting in-person and finishing online (maybe through collaborating on a presentation or a Google Doc). 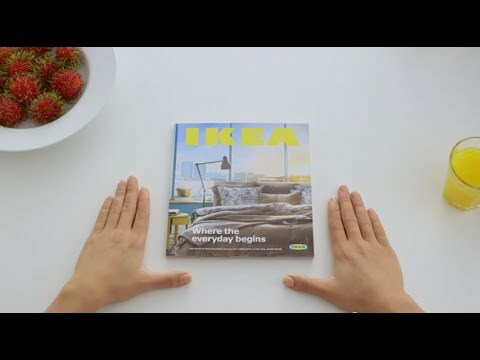 In Video 2.7, we see a daughter ask her father, in German, “Tell me dad, how do you get along with your new iPad that we gave you for your birthday?” Her father replies, “Fine!” Only then did the daughter realize that her father was using the iPad as a cutting board. 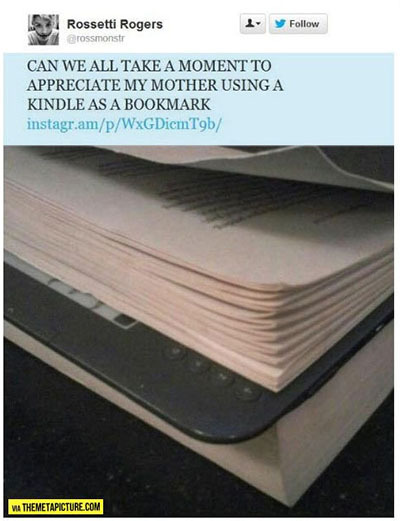 The video reminded us of a Tweet we saw where a mom was using an e-reader as a bookmark for a paperback book (see Figure 2.7). What to Look For: How effective do you think this technology use is? Figure 2.7 Not the best use of technology—using an e-reader as a bookmark. Ask yourself, “Is using an iPad as a cutting board or an e-reader as a bookmark a good use of technology?” Perhaps these aregood uses of technology. The father and the mother in these examples had a need and they used technology to meet that need. That’s a good use of technology, but we can all agree that it’s not the bestuse of technology. One reason why it’s only a good use of technology is that they only used the technology to make their lives a little better rather than using technology in ways that could open up new possibilities. While we can laugh at a father using an iPad for a cutting board, if we really examine the history of technology integration, we find that teachers throughout tend not to use technology in the best ways either. Teachers tend to use technology to make their current practices a little more efficient without really making meaningful changes to what occurs in their classroom. 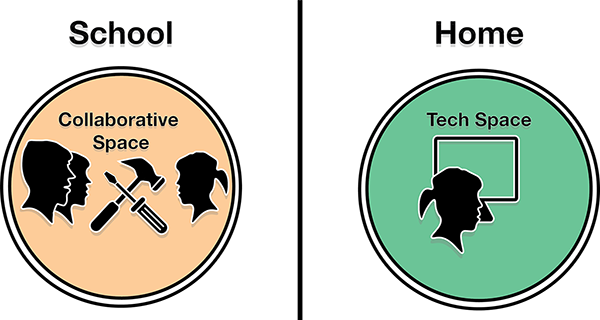 In fact, the term technology integration [https://edtechbooks.org/-LiI] implies that teachers use technology to support their current practices. 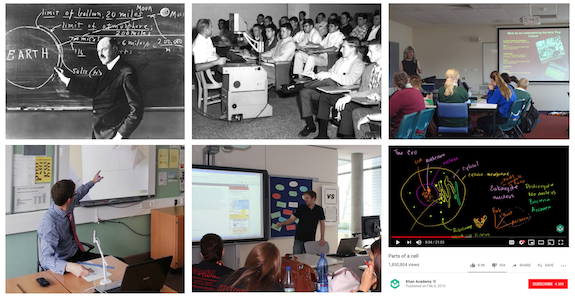 With a quick look at the history of educational technology, you will find that it has largely been used to support teacher-centered learning activities [https://edtechbooks.org/-mUTn]. For instance, all of the technologies in Figure 2.8 (i.e., the blackboard, overhead projector, digital projector, document camera, interactive whiteboard, and screencast video) focus on making it a little easier for teachers to lecture. For technology to truly have an impact on students’ learning, we have to do more than simply digitize what we’ve always done. If that’s all we do, we will simply achieve the same learning outcomes—only faster. Furthermore, one thing that we have learned from research is that it’s the learning activity—not the technology alone—that impacts learning. For technology to have a meaningful impact on student learning, it has to change how teachers teach and how students learn. One way to examine effective technology use is through the PICRAT framework [https://edtechbooks.org/-qjxy] discussed in the next three sections. The RAT frameworkis a helpful approach for seeing how the range of technology use can change how teachers teach and students learn (Hughes, Thomas, & Scharber, 2006). The use of technology can either replace (R), amplify (A), or transform (T) traditional teaching practice (see Figure 2.9). Each of these terms are defined below along with examples. Description: Technology is used to make an activity more efficient or accessible, but the activity itself does not change in any meaningful way. Example: Rather than handwriting an essay, students type their essays using a word processor. Description: Technology allows the teacher or students to do the same activity with some improvements that would be difficult or impossible without technology. Example: Rather than handwriting an essay or typing it on a word processor, students create their essay using a blog with images and videos, or an essay is written in a Google Document which allows students to synchronously collaborate. Description: Technology is used to reimagine the learning activity and to do something completely different that would be difficult or impossible without technology. Example: Rather than creating an essay on paper, or using a word processor, students use video editing software to create a movie, or they create an infographic. What to Look For: Think of practices in your own classroom that may work best without technology. A meaningful blend of in-person and online learning activities will do more than only replace or replicate traditional learning activities. That said, using technology to replace or digitize your current practice is still a good use when it makes the activity easier, more efficient, more flexible, or more accessible for students to complete. Furthermore, we don’t want to be so tech centered that everything we do involves technology. That’s the beauty of blended learning! As seen in Video 2.8, sometimes no technology use is actually the best choice. One advantage of blended learning is that it can make learning more engaging for students. Students tend to enjoy activities more when the exercises are hands-on. You may have heard the phrase “hands-on, minds-on” which emphasizes that hands-on activities help students to learn the material and develop new skills. This is known as engagementwhich describes students’ positive feelings towards an activity. The next section focuses on what students are doing with technology and how it impacts their engagement levels. This is described by the PIC framework. Students relationship to the use of technology can be either passive (P), interactive (I), or creative (C). Description:Technology is presented to students in a one-size-fits all approach that is meant for student consumption with no requirement for response. Examples: Watching a video showing a volcanic eruption, observing the use of a document camera to model how to correctly measure a circle’s radius, or reading poetry online. Description:Technology is responsive to student performance and behavior. Examples: Students play educational games focused on improving literacy, learn math using software that adapts when students respond incorrectly, take a formative online quiz that provides them with feedback based on their responses, explore the architecture of the Notre Dame Cathedral using a virtual world such as Google Earth, conduct experiments in a virtual chemistry lab, or participate in an online discussion board to examine elements of poetry. Description: Students use technology to produce original materials. Examples: Students create a mini-documentary on the American Revolution, an infographic showing the life cycle of a butterfly, or a website that shows the real-world application of geometry. All three uses of technology (passive, interactive, and creative) can be good uses of technology. However, technology’s potential is not being realized if students are only using technology in passive ways or if students rarely have the opportunity to create something original. Now that we’ve discussed the PIC and RAT frameworks separately, let’s bring the two together to form the PICRAT matrix. (See Figure 2.11). By examining the use of technology, we can complete the following statements to better understand how students are engaging with technology and how that use of technology changes our traditional practice. Students’ relationship to technology is (passive, interactive, or creative). Use of technology (replaces, amplifies, or transforms) traditional practice. 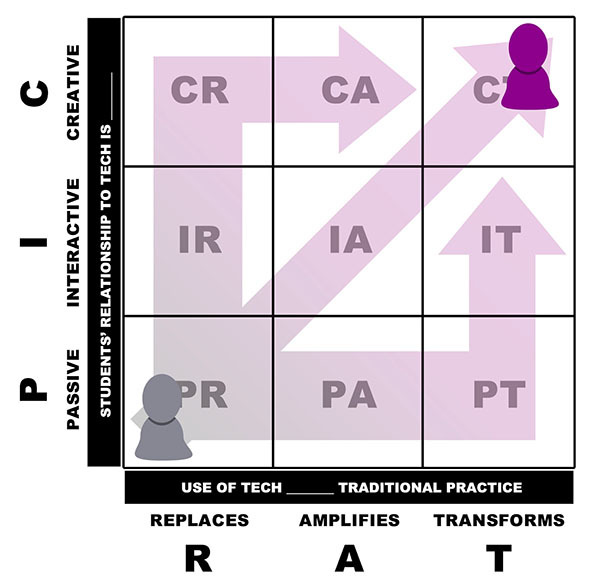 Figure 2.11 The PICRAT matrix for evaluating technology use for student learning. As teachers we want to ensure that technology is used in a variety of ways that best align with the instructional objectives. Watch Video 2.9 to reflect on how technology being used in your classroom fits within the PICRAT matrix. What to Look For: As you watch, consider the different uses of technology in your classroom and where they fit on the PICRAT matrix. We can use the PICRAT matrix to determine if our blended activities are meeting the full potential of our teaching practices and therefore helping students to meet their full potential as students. When you use the PICRAT matrix to gauge your own teaching practices, there are three kinds of evaluation that you must complete. Determine the PIC [https://edtechbooks.org/-FSu] to assess student’s relationship to technology. Determine the RAT [https://edtechbooks.org/-Vtm] to assess change to traditional activities. Determine the RAT to assess change to traditional classroom practices. The first test is to look at the student’s use of technology and determine if it is passive, interactive, or creative. The PIC evaluation is usually the easiest assessment to make. If your students are absorbing information without providing any data to the technology or manipulating the technology, then their relationship to the technology is passive. If students are manipulating or using the technology in some way, then the relationship is either interactive or creative. The RAT analysis, however, can be more difficult. This is because you must use the RAT side of the matrix to make two different evaluations. The first is at the individual student level. Does the use of technology replace, amplify, or transform a traditional activity? For example, if students are watching a lesson online instead of watching you provide a lesson in class then it is a replacement activity. The second evaluation is at the classroom level. Does the use of technology replace, amplify, or transform your traditional practices? If students are watching a video lesson instead of attending the lesson in class, what is the ultimate goal? Is it because you want to have more class time for some kind of activity—a lab, a group assignment, a role play exercise, etc. ?—If so, then the use of technology at the activity level is still replacing, but the use of technology at the classroom practices level has either amplified or transformed your classroom practices. You have used the technology to create more time for working with your students, something that would be difficult or impossible without the technology. Plan a use of technology that is passive and replaces a traditional activity but amplifies or transforms classroom practice. Create an activity that includes students interacting or creating with technology that also amplifies or transforms your classroom practices. Create a poster or graphic that communicates student expectations for at least one of the blended teaching routines that you will use in your classroom. Online Resources: Blended courses have both a physical and an online learning space. Both need to be organized and managed. Digital Distractions: The same technology that enables a learning activity can also distract students from it. As a result, teachers should help students to minimize distractions and stay focused on the learning objectives. Rotations: Often students transition from online and in-person activities which may also require them to physically move to other areas of the classroom or school. Hardware and Software: Devices and software need to be maintained and ready for student use (see examples in Videos 2.10-2.11). What to Look For: Think about which of the systems, procedures, and guidelines from this video could be useful in your blended classroom. Just as a brick-and-mortar classroom holds physical learning materials, student projects, and spaces where students go to discuss, collaborate, and receive feedback, blended courses also need to have an online environment where students can go for online versions of those same materials and activities. Due to this need, most school districts now have learning management systems (LMS) that help you, as the teacher, organize online content, assignments, directions, projects, discussions, announcements, and feedback. Many LMSs also help with a different aspect of blended teaching: managing digital distractions. In addition to monitoring students’ in-class behavior, teachers need to manage online behavior, which is easier for students to conceal. LMSs typically provide a wealth of tracking data including login, time in system, and click data which can be used to monitor online behavior. In fact, some LMS software now provides you with helpful dashboards that display students’ behavioral data in visual ways that help you to quickly recognize patterns and deficits (see Figure 2.12). In some cases, you may also want to look at the browser history for those students who you suspect may have been off task during class. Some school districts have actually disabled incognito modes on the internet browsers to make it more difficult for students to hide their online behavior. Other schools provide teachers with software that allows teachers to see their students’ screens in real time. Figure 2.12 provides examples of data that can be provided by an LMS to monitor and track student actions while in the online environment. 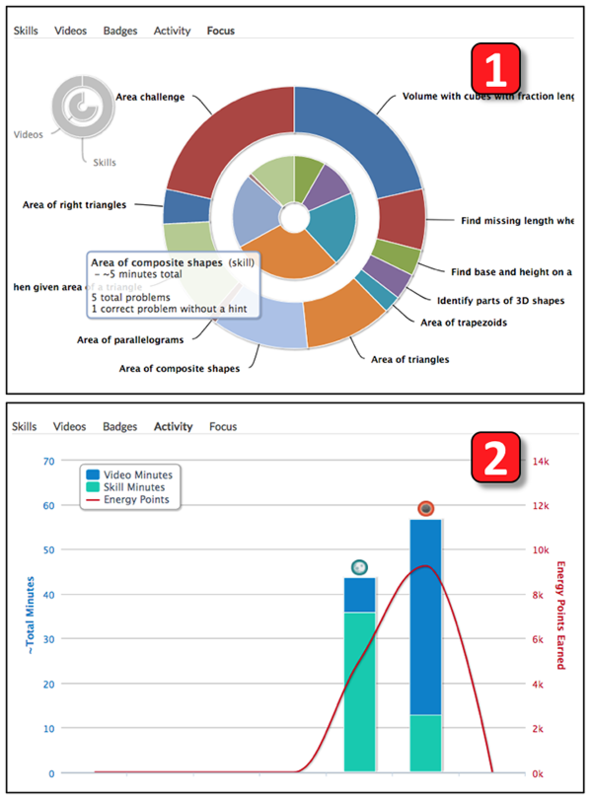 Figure 2.12 Examples of analytics tracking student activity in an LMS. 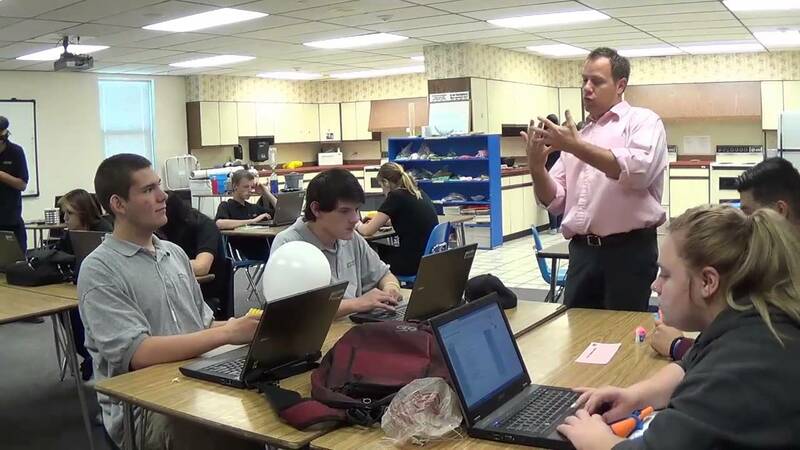 Two strategies that work very well for helping students stay engaged in the blended environment are the clamshell technique [https://edtechbooks.org/-ALv] and the screen-time/face-time technique [https://edtechbooks.org/-FbZ]. Clamshell: When students are using laptops, but you need to provide additional instruction or direction, students close their laptops to a 30-degree angle so all of their attention can be focused on you. Screen-time/Face-time: If students are using devices, it may often be more important for you to see their screens than their faces. In such circumstances, it is better to have students turn to face away from you so you can observe what is happening on their screens. When it is time for more instruction, or for the class to come back together, students can then turn back around and face you. In addition to monitoring student behavior in the online setting, blended teachers use many strategies for managing students’ locations and movement during various rotations. The following list outlines some of the strategies that teachers commonly use to guide where students should be during a station rotation. Fixed station locations: There is a fixed location for each station meaning that students will always do various types of activities in the same location. For example, students will always meet with you in the same space, collaborate with peers in the same space, use a specific learning software, e.g., Imagine Learning, KidBlog, Khan Academy, in the same space, etc. All of the stations do not have to be used every time, but students should always know where all the stations are without having to wonder or wander around. The stations are labeled with age appropriate signage (symbols or icons for younger grades, words or words and icons for older grades). Timed rotations: Students begin a rotation at different stations and the teacher determines when the groups rotate based on a fixed time schedule, typically 15-30 minutes per station. The schedule is posted in a place where all students can see it, and the students are given updates on how much time is left before the next rotation. When it is time to rotate, students follow a specific order of stations. Performance grouping: Students are grouped for a station rotation based on performance data, so that students can go to the stations that will best help them advance their learning. These groups can move using either timed rotations or flex grouping. Flex grouping: This involves the practice of starting a rotation with groups at each station, but then allowing students to move freely between stations as they need to. Instead of groups moving together from one station to the next, students can move to stations based upon their learning needs. If they are ready to learn or complete activities online, they go to the digital station; if they need your help, they rotate to the teacher station; if they are ready to create something or collaborate with others, they move to that station, etc. Their movements can still be timed, but students do not have to move from station to station with a group. You can view examples of station management for elementary classrooms in Video 2.12. What to Look For: Consider how you could use some of these teachers’ guidelines in your own classroom. 1, 2, 3 Station Assignments: The students are told where they will start for their stations. You then ask students to (1) stand up, (2) point to their station, then (3) walk to their station. After students learn this procedure, the teacher can simply count “One . . . Two . . . Three” with students responding to each number with the correct action—stand up, point, and walk. Freeze and Listen: You tell students that it is time to rotate. All students must freeze in a certain pose, like hands on head, then listen so they know which station they will be moving to next. One-Way Street: Students move from station to station in a single direction. If you’re using flex grouping, some students may need to walk past other stations to get to their next station. “Perfect” Transitions: Teachers take time after each rotation to recognize and compliment students or groups who make high quality or “perfect” transitions that are orderly, quiet, and efficient. This is especially important at the beginning of the year when students are learning procedures for transitions. Transition Signals: Students are given a five-minute warning that allows them to begin writing about their progress and their next direction, logout of devices, wrap up conversations, etc. During transitions, other signals, such as music, can be used to create a timed break. For example, you might play a song for students to listen to during the transition. 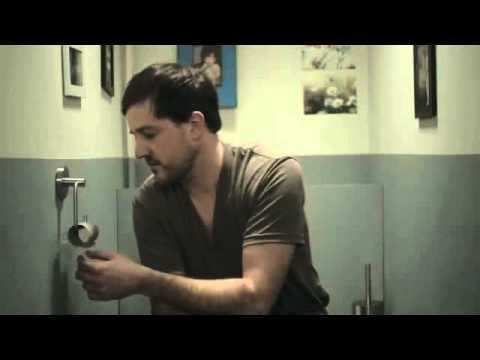 The song, in that situation, signals a “down time” from work, but when the song ends, you clarify that it’s time to start working at the next station. 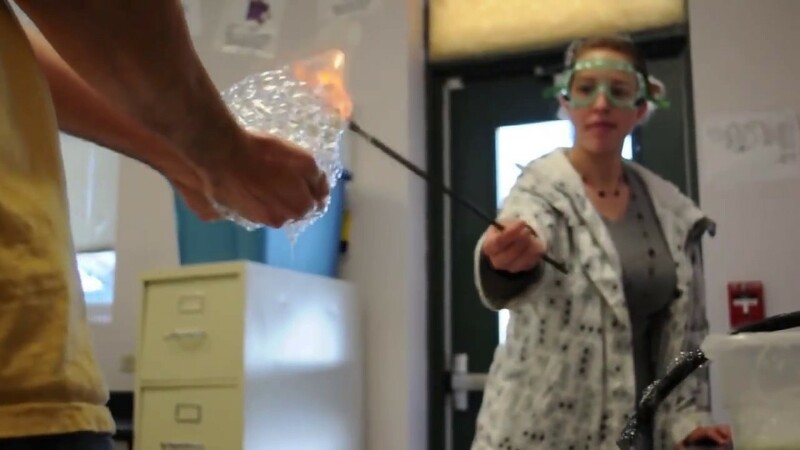 Watch a classroom example of transition signals in Video 2.13. You probably already have many procedures in your classroom that work well for managing student movement. Many of these can be adapted to fit your blended learning style. In the end, it’s important that you find which strategies work best for you. What to Look For: Consider how this teacher’s ideas for transition signals could inform your own. Technology hardware is expensive and needs to last. Managing hardware is an especially new responsibility for many young students, and it can be hard on you, particularly in classrooms where there are one-to-one devices. Proper handling of devices is one thing, but what about updating software and keeping track of student login information? The following list includes some techniques for managing hardware (the actual computer, tablet, etc.) and software (online programs, apps, games on the device, etc.) in the blended classroom. Assigned numbers: Students are assigned a specific device that is numbered so they use the same device every time. This helps track student’s work in progress, and helps you know who broke the screen or stole the “W” key. Two hands: Students are told to carry all digital devices with two hands. This is a pretty basic idea for most people, but younger students may forget, and older students may become over-confident. If students carry devices with both hands, they are less likely to drop them, bang them into things, or slam them down. It also makes it more difficult for other students to be involved in causing an accidental drop. Hardback before hardware: Students practice checking out numbered hardcover books and carrying them in the right way before they start using devices. This helps students understand why they have numbered devices, and why carrying them with two hands is so important. Paint chip login: At the beginning of the year students are given paint chip cards that have several sections of color on them. The top section is used for their name and class, while each of the other sections is assigned to an application or website that they will be using in class. Student’s usernames and passwords for each application are written down in the corresponding square. You can collect the paint chip cards, and pass them out to students as needed, or they can be stored with the students’ classroom resources. Clipboard login: All the students’ usernames and passwords are copied and printed out for each of their applications and then stored on a clipboard that is accessible to all students. This makes it easy for students to find their usernames and passwords without having to ask you to look them up. If usernames identify the user, then they may need to be kept in a place that is separate from student passwords. Additionally, it is best to use a number that only a student can recognize, such as a student identification or lunch number, so passwords cannot be easily stolen. Launch: Students who will be using devices all launch their applications or websites at the same time—before class activities begin. Students are able to use this time to find their passwords if they don’t remember them and talk with their friends if they need help finding the programs they will need. This is done outside of instructional activity time and outside of the teacher giving directions. It’s a time simply for getting all of the digital learning devices ready to go. See Video 2.14 for launch ideas. What to Look For: Look for the ways that the launch approach has helped this teacher and her students prepare for digital learning. Again, you probably have some procedure for retrieving class materials and getting ready to learn in place already. Many of the procedures you already have can be adapted for blended learning. What matters most is that you find some procedures that work for you, and more importantly, work for your students. Once appropriate routines are in place, feel free to put rules in place that let students help their peers with devices, questions, and routines. Students can usually follow routines and get answers to simple questions with the help of their peers. If you take time to answer every question, or lead every transition, you will lose valuable instructional time. The following ideas are ways for your students to each other help (and in turn, help you) manage blended learning. Hiring students: You can give students jobs or roles to complete as part of managing hardware and helping others. One job can be to handle the devices, so that instead of everyone trying to mob the device cart, one student is responsible for handing devices to the people in line. Another role can be for a student to make sure all devices are plugged in and charging after they have been returned. You can let students know what their job will be for the day or tell them that you will be looking for someone to have that job for the day. Computer captains: Every transition in a blended class is important. It can be difficult for teachers to control and manage each of these transitions. Computer captains help the teacher by leading the rest of the class, or their group in these transitions. For example, if all of the students need to get devices, the captain for the day can be the one who handles them at the device station or the one who makes sure everyone knows which station they are moving to next. Captains can be in charge of the many tasks that need to happen during a transition. 3 before me: Before students ask you a question they must ask three of their peers for assistance. This idea is a valuable way to manage student questions, especially those that are repetitive or have already been answered a number of times. It also helps build the Four C’s of creativity, critical thinking, communication, and collaboration, while also encouraging students to become independent learners and thinkers. Choose or create a strategy for moving students from station to station. Support your reason for choosing this strategy. Create a floor plan of your classroom. Decide where you will host different stations to use as part of a station rotation model. Create a poster that outlines the guidelines for various procedures students must follow when using devices in your classroom.